This SATURDAY, OCT 27TH, Salem Hills High School held their annual Witches Run. The ALC was represented at the event with 11 of the employees in attendance. It is always such a fun time for us. We have been doing this since 3 years ago when the principal at the time, Wade Tischner, encouraged us to support Salem Hills High School Cross Country team.. It has since become a tradition that we are sure NOT to miss. We won the Wellness prize for having the most in attendance as a group of Nebo Employees and were rewarded with yummy bread, and jams. Our Computer Programming Teacher, Rob Eastmond won a first place medal for his age catagory~ WE ARE SO PROUD OF HIM!! 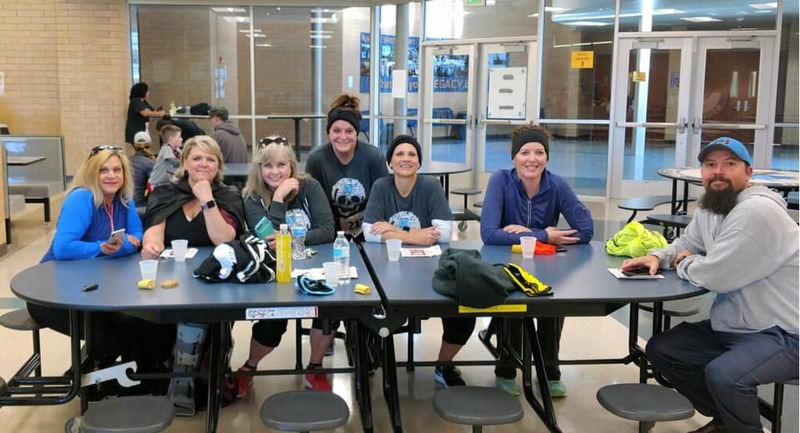 Thanks to Salem Hills High for sponsoring this fun event that not only helps us get out and exercise, but helps us to continually bond as the ALC TEAM WE ARE!! WE ARE ALC FAMILY ! !